Wood look tiles provide the durability of ceramic tile and the elegance of hardwoods in one durable and fashionable package. Their many benefits make them a sought-after flooring solution for virtually any room in the home. They come in a standard 4-inch by 32-inch length in keeping with the look of a standard wood plank. They are cut with precise, straight edges, allowing them to lay right up against one another without thick grout lines. This more closely resembles the installation process of traditional hardwood flooring. Deciding the best places to install wood look tiles is all about understanding the pros and cons of the flooring choice. It is inevitable that floors in the kitchen will be splashed with water, grease, and any other foods or condiments used in the busiest room of the house. Unlike hardwood floors, wood look tiles are impervious to moisture, making them a great choice for kitchens. 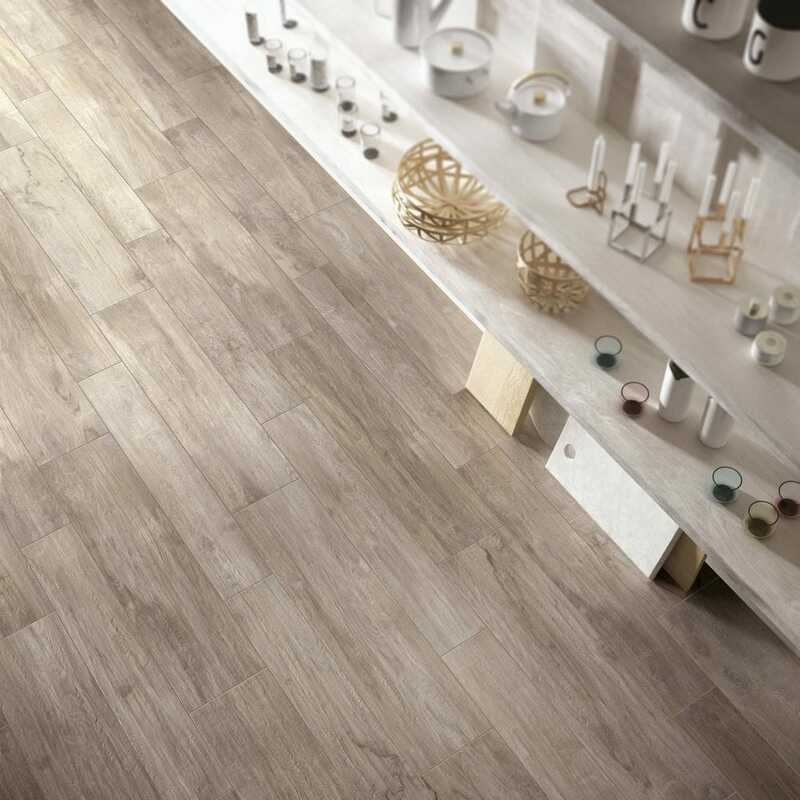 Because it is crafted of ceramic or porcelain tile, wood look tiles are easy to clean with standard sweeping and mopping. Select one with a smooth surface for easy wiping or opt for one with a more textured design for enhanced grip and traction. 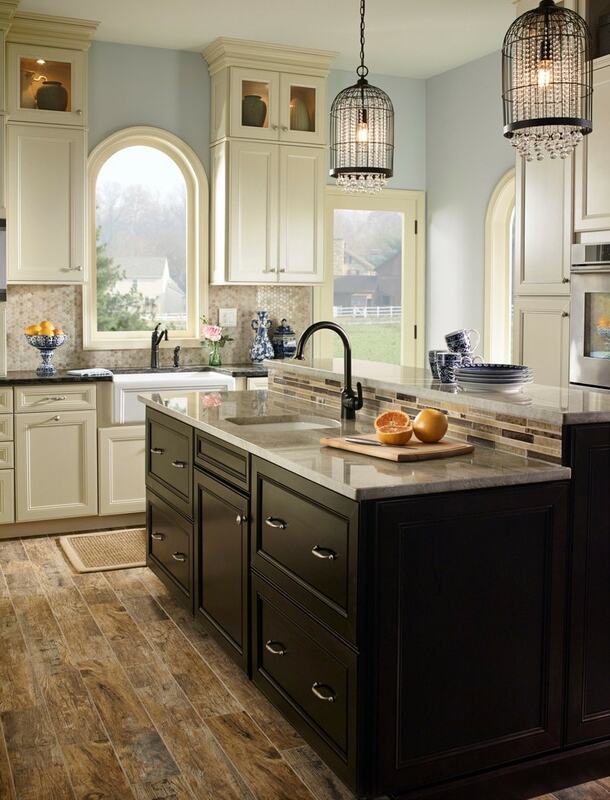 Tip: Use a row of wood look tile, accented by smaller tiles, to create a decorative and durable kitchen backsplash. 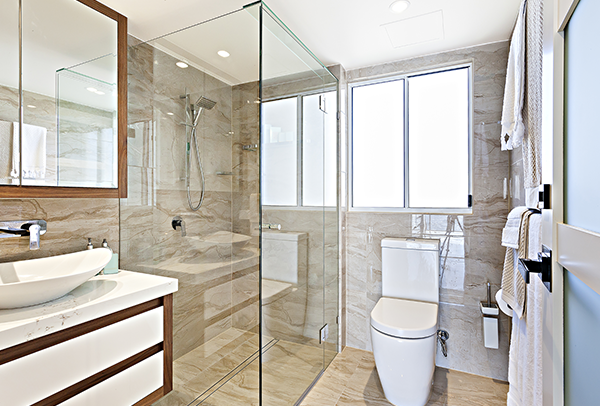 There is no room in the home that receives more puddles, drips, and moisture than the bathroom. Fortunately, ceramic tile is designed to hold up to the rigors of this damp area of the home. Hardwood floors in a bathroom would warp, stain, and get ruined. Fortunately, you can achieve the same look while providing a classic durability by opting for wood look tile in the bathrooms. The warm color options of wood look tiles can transform any dated bathroom into an earthy, spa-like oasis. Add a few bath mats where needed for added traction and water absorption. Tip: For a more dramatic effect, continue the tiles on the walls or shower stall of the bathroom as well. Nothing is more traditional than installing hardwood floors in the living room but when budget or lifestyle prohibit the use of hardwood, wood look tiles provide a fashionable and cost-effective alternative. They come in a wide array of colors and wood grains from which to choose, making it easy to mimic the look of a rustic oak or a sophisticated cherry. 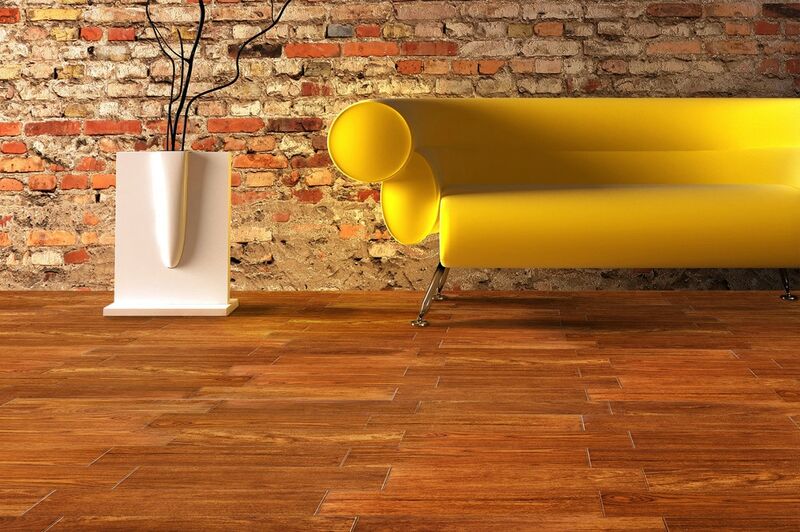 This contemporary choice for flooring is ideal for high-traffic areas of the home, such as the living room. Keep it clean with regular vacuuming and occasional mopping. If an added layer of softness is necessary, an area rug complements this flooring choice beautifully. Tip: Draw out the darkest wood tone in the flooring and choose furniture that complements that deepest tone. The laundry room and the mudroom are two of the toughest areas of the home. Dirt, dust, mud, and detergent are no match for the durability wood look floors provide. Because they are so easy to mop and disinfect, porcelain tiles are a perfect choice for entryways and utility areas such as laundry rooms. These floors are especially beneficial when the laundry room or mudroom is a continuous addition to a hallway or entry area because it can be continued to the next area. Using lighter colors can help a small space feel more open while darker colors tend to provide a dramatic effect. Tip: A mudroom is often the first space entered. Choose a flooring that speaks to the style of the rest of the home to establish a great initial impression. Consider the space at its dirtiest and choose a finish that will hide as much grime as possible. 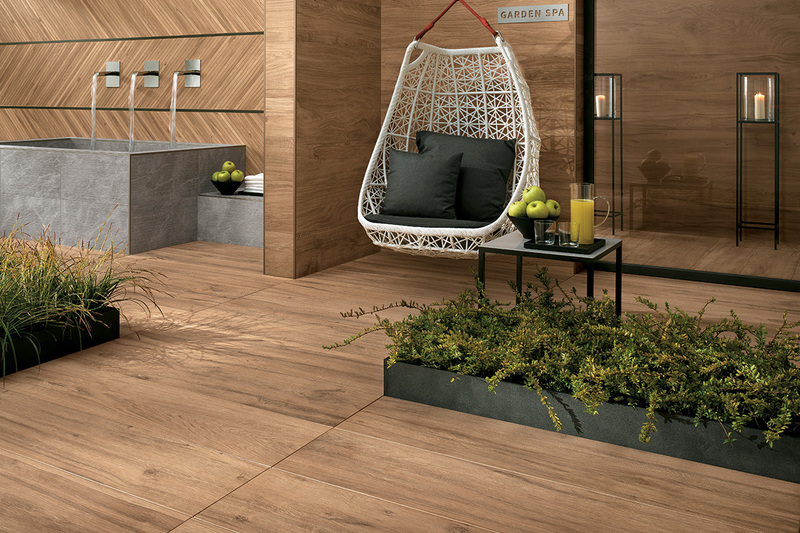 Wood look tile isn’t just a great choice for indoor spaces, it is a suitable option for outdoor applications as well. Transform the look of your deck or patio by laying these ceramic tiles and it will take on an elegant, modern look. The tiles aren’t just a great choice for the flooring itself, they are also a fashionable way to wrap the sides of an outdoor bar area or surround an outdoor fireplace. The wood look of this product is perfectly fitting for this transitional part of the home that borders nature itself. When choosing the right one, draw inspiration from the colors of the nature around your home. Draw out a color that complements the existing house color and the various views you have from the deck or patio. Wood look tile outdoors is easy to hose down when it is necessary. Tip: Lay down a few tiles in various patterns to get a whole new look out the product. Linear rows, chevron patterns, and herringbone patterns can give the same flooring an entirely different vibe. Wood look tiles are hard, extremely durable, easy to clean, and UV resistant, making them an ideal choice for use in virtually any room of the home. The fact that wood look tiles can be used in wet, dry, and subterranean areas of the home makes it easy to use it as a continuous flooring from the front door straight through the kitchen and bathroom. Laying the same type of flooring throughout the home, especially in an open-concept home, makes it seem larger and more inviting. The affordability of these tiles makes it easy to update a single room or renovate the floors of an entire home on budget.